Grandmaster Flash - Can I take you higher? If you want to hear a preview of DJ Kid Stretch's miniguestmix on my next show check out this link here...! Very pleased to announce that on November's show (19/11/09) I'll have 2 guestmixes from one of Goodgroove's latest signings, Philly Blunt and not forgetting a very very funky minimix DJ Kid Stretch has done especially for the show! Hey Lebrosk, great mixes mate! I think the first two shows links are broken... Any idea where I can get them from? Latest show now uploaded to Soundcloud page! Dr.waumiau Bucovina 69 Ian Oliver feat. shantel vs fatboy slim vs m.i.a. Check out this month's radio show on Ramp FM this Thursday night at 9pm MET! On this month's show I'm very pleased to showcase the brand spanking new longmix from Hayz. MIA's Jive - Mashed Up Funk! Gotta Be - Move Ya! 01. Toddla T - Where Mi Key Deh? This month I'll be celebrating one year of the 'Funk Sessions' on Ramp FM with an Exclusive guestmix from the very talented DJP! Tune in on Thursday 15th April 2010 at 9pm on http://www.rampfm.com for something very special! Last edited by Lebrosk on Sat Apr 17, 2010 12:04 am, edited 1 time in total. Very pleased to announce that on this month's show I'll be bringing you exclusive new guestmixes from Qdup Foundation and Romania's Meeloox! Check out August's Funk Sessions show archive on Soundcloud now! Check out this month's Funk Sessions sbow on Ramp FM with an Exclusive guestmix from Nick Thayer! This month's show we have guestmixes from Phunk Sinatra & Manki 'n' Stieb ! 20 tracks of NuFunk, Breaks, House and D&B ! Check out this month's show with an EXCLUSIVE guestmix from Delimentary ! 2. Rick James - Mary Jane. 3. Break Bread - No Other MC. 4. Digable Planets - 9th Wonder (Blackitolism). 5. House Of Pain - Who's The Man? 6. The Nextmen - File Under Truth. 7. Chali 2na - Comin' Thru. 8. DL Incognito - Audio Coke. 9. Hilltop Hoods - Classic Example. 10. The Gaff - Spread Love Is What We Need. 11. Notorious B.I.G. - Hypnotize. 12. The Alkaholiks - Flute Song (La La La). 13. Yan Zombie - Song For My Homies (You Are Champions). 14. Sharps w/ Mat The Alien - The Stag Yuck Beats. 15. Yan Zombie - Positive Contact Mash. 16. Knight Riderz - No Offence. 17. Bryx - Jaw Break. 18. GZA - Liquid Swords (Audited Beats Remix, w/ Attikus, w/ cuts by Wakcutt). 19. Vent - Guilty Pleasures. 20. I.R. Burial - That's Smart (Audited Beats Remix). 21. The Beatmpnkeys VS. N.W.A. - Hot Twan. 22. Dizzie Rascal - Sirens (Bezwun Banger Mix). 23. Featurecast - The Shaker. 24. Opiuo - Slip (Vent Remix). 25. Dr. Dre - The Next Episode (Jay Robinson Remix) Neon Steve Re- Rub. 26. Fat Pat & Wakcutt - Spagett! (Wakcutt Remix). 27. K Lab - Grimewarp. 28. Tony Fresch - Oh No Techno (Audited Beats Remix). 29. Ed Royal - Mission (Funkanomics Remix). 30. Hostage - Snake Charmer. 31. Emotionz - If You Down (Wakcutt Remix). 33. Bryx - Psycho Killa. 34. South Rakkas Crew feat. Serocee - So It Go (Mat The Alien Remix). 35. Johnny Global feat. Ragga Twins - Duppy Dat Riddim. 36. Chase & Status VS. Dizzie Rascal - Heavy. 37. Mensah - My Hard Drive Just Died. Good Thymes (Opiou remixx) - Ray! 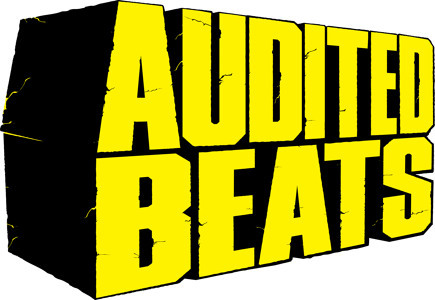 This month sees Audited Beats return to the Funk Sessions show for the second time showcasing his brand new mix made especially for the show! Check out this month's show with guesmixes from The Funkmoguls and Paddy from the UK ! With the closure of the Ramp FM radio station this month we're now continuing it as a blog where we'll be posting all the Ramp DJs shows and podcasts. Come and check it out here! My second for the new Ramp Shows Blog! Come and check out the new Ramp Shows Blog and hear shows from people like Janette Slack, Rory Hoy, Telephunken, Totalcult and Johnny Pluse! My last show of 2011 for the Ramp Shows Blog! Starting funky and picking things up towards the end with some club style tracks for the dancefloors. Massive thanks to all the listeners of the show and look forward to bringing you more mixes and shows in 2012 !!!!! Follow the Ramp Shows Blog on Twitter! Check out this month's show (slightly later than planned!) with new ones from the Funk Ferret, Tremendo Records and a tasty little DJ Shadow bootleg towards the end. Welcome to my 36th show which means this is officially 3 years of dong the Funk Sessions Show !!! DELimentary joins me in celebrating my shows for Ramp FM and the Ramp Shows Blog with an EXCLUSIVE new guestmix for your listening pleasure. On this month's show we have EXCLUSIVE guesmixes from the almighty Some DJ and Amsterdam's Ghetto Funkster Snowy D! My latest Funk Sessions show with an EXCLUSIVE guestmix from Dylan Sanders ! The mix starts off nice and chilled and slowly picks up the pace as it goes on.